Your little princess will love this fantastic official Disney Frozen Snowflake junior duvet cover and pillowcase set. 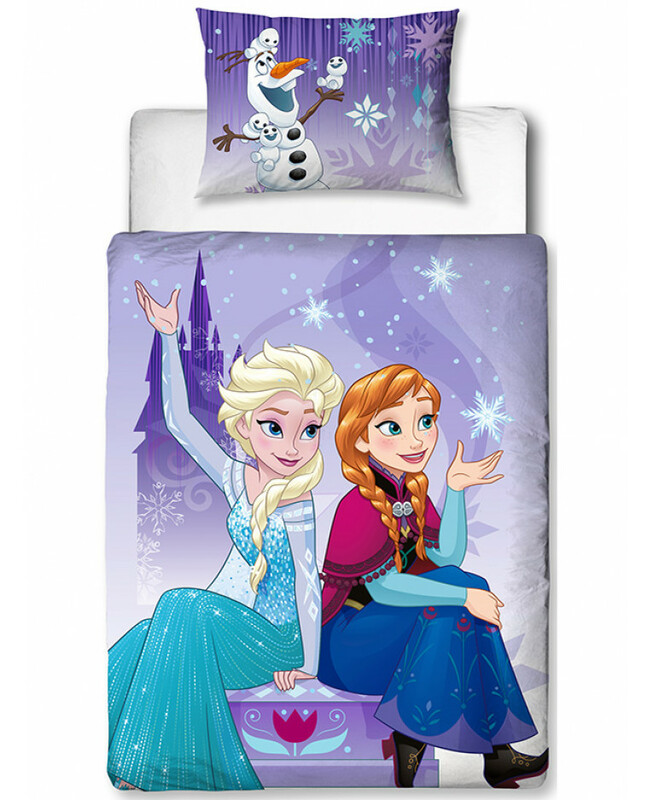 The duvet cover features Anna and Elsa on a pretty purple snowflake patterned background, with Olaf on the pillowcase. 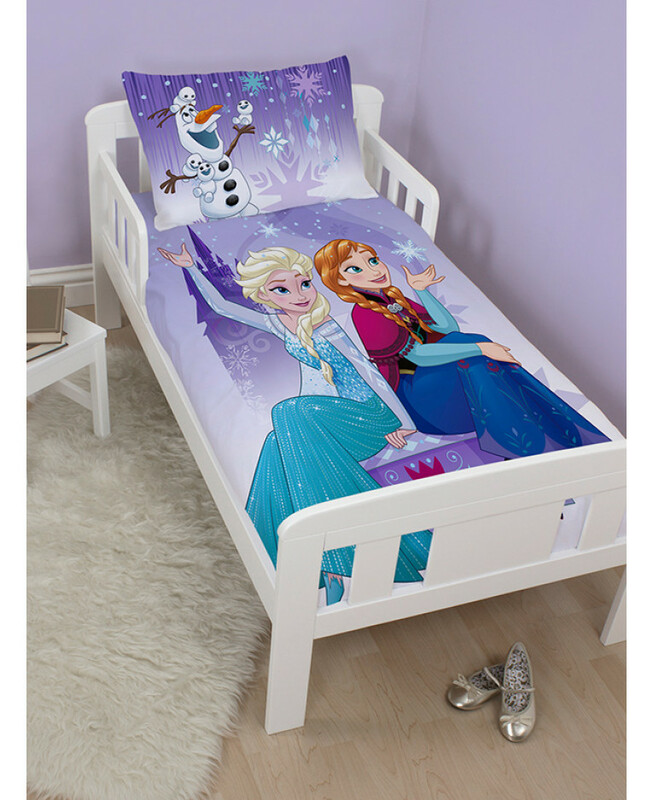 This bedding set fits most toddler and cot beds and can be machine washed and tumble dried on a low setting.